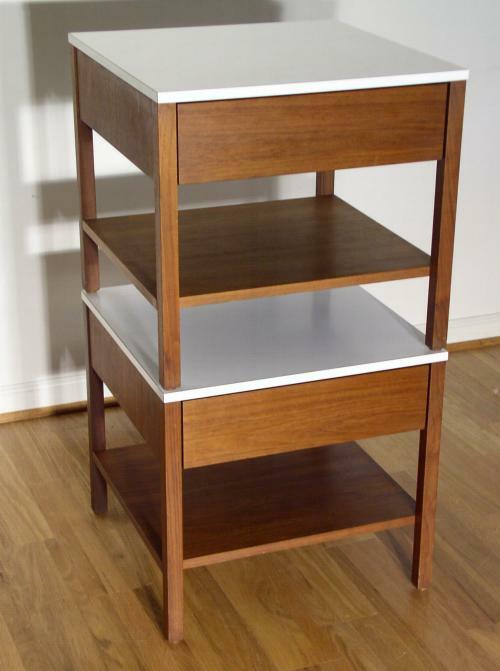 Pair of early Florence Knoll for Knoll Associates Inc. end or side tables with her classic angular lines. Solid walnut and walnut veneer with white laminate tops and blind draws. Both have their often missing lower shelves and both with old fabric labels. Condition: Excellent vintage condition - two veneer chips on one side documented in photos, one draw missing an internal divider.